Tell us a little about your vision into Sales Technology. What inspired you to co-start a Cloud-based Technology company? I have always been interested in playing the long game. Thinking ahead has become a thing for me. When in the mid-90s the use of cloud software was still far off the horizon and contact centers carried a notorious reputation as being gloomy workplaces. We saw that it didn’t need to be that way. There were businesses doing amazing things delivering fantastic sales outcomes and the best customer service, but it was complex and expensive. We wanted to empower every business with simple, easy to use cost-effective software for Sales and Service teams. It hasn’t always been easy. There were times we were almost out of money. But with the enthusiasm we had, diligent teamwork, and being in business for more than just money, to this day we continue to turn things around in the field of customer service. For the last 20 years, my team and I have been developing advanced messaging software. I co-founded NewVoiceMedia to exploit the obvious benefits of putting an enterprise-class contact center in the cloud. I lead the architecture and research teams, and head up NVM Labs. Every day is a new challenge, one that I look forward to taking on with much passion and vigor. 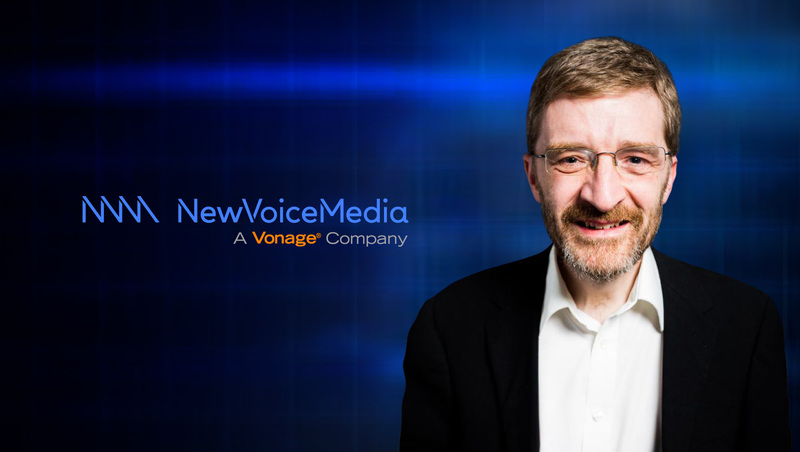 In November 2018, NewVoiceMedia was acquired by Vonage, a business cloud communications leader. Together, I am convinced, we will continue leading the way in innovation and delivering on the promise of emotive customer experience. Tell us a little about the team and technology that you handle? It is a really exciting time for the business. My team, although small, focuses on new technologies, new things we can bring to the business, new ways we can be making our products and provide a better service to our customers. We are particularly focusing on machine learning and artificial intelligence. There is a gold mine of information in the conversations businesses are having with prospects and customers, but it can be difficult to access this information. We are looking at ways to analyze conversations, both historically and in real time, so that we can help our customers get better outcomes. We want to help people perform at their best in every conversation, make their life easier and help them learn and grow. How can the Sales Industry best leverage on NewVoiceMedia’s capabilities? The competition is now all about providing the best customer experience possible. The better information businesses have in advance of the initial sales the more likely they are to close on a successful lead. We are here to provide the best omnichannel, user-friendly, integrated tools for businesses to turn difficult conversations into great outcomes for their customers and their businesses. Our Salesforce CTI integration and Conversation Analyzer come to mind. These give you visibility of every interaction, helping you to constantly learn and improve. Before these tools you could review maybe 1% of your interactions, now you can analyze everyone. 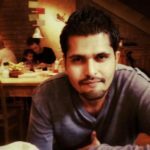 What is more important to you-Building a great product or a strong focus on Customer Success? In this day and age, when progress and change are led by customers, the two are closely intertwined. You can’t have a good product without focusing on client experience and the other way around. The process of building a thoughtful product excites me, but it’s useless if it doesn’t make our clients happy. Our products are made with client satisfaction in mind. Could you give us a use case of your product(s) when it helped a business resolve a complex problem? Take a look at these cases: each focuses on a different industry and highlights a problem and a goal our technology helped solve and achieve. Could you name some tools that NewVoiceMedia can integrate with? We’ve placed Salesforce CTI integration at the very heart of our Cloud-based Call Center software. Further building on our philosophy of making every conversation great, our solutions seamlessly integrate with Customer Data Platform (CDP). That, in turn, gives your teams what they need to get more personal, make more connections and work more effectively on every channel. NVM’s powerful integrated speech analytics solution makes sales and service teams even more successful. Integrated with Salesforce Einstein Analytics and with built-in Einstein dashboards, businesses can easily analyze customer conversations which are automatically made available in Salesforce and unlock valuable insights across Contact Center and CRM data. Conversation Analyzer uses speech-to-text to transcribe calls and deliver intelligent content categorization for actionable insights into the business. With built-in Einstein dashboards, businesses can refine how to boost their successes and manage challenges more efficiently, helping ensure every conversation is successful. What advice do you have for other MarTech and SalesTech companies about infusing AI with Sales Technology? I envision that AI is going to be used not as a replacement for people, but as a way to make people’s jobs easier and more efficient. There is a lot of hype about AI and that it is likely to bring much disappointment in the next couple of years. However, AI is here to stay and if we are realistic can bring many advantages. Expect to see many small, incremental improvements in Sales Technology powered by AI in the background. This can be in many areas; process improvements, productivity tools and aids for Sales Reps. AI won’t take over but it will help us all to improve in the years to come. AI is the future; however, it should be used to improve human connections, not replace them. Having more human connection is key for businesses. You need to connect with your customer and you can only do that with people. You can’t automate that – you lose depth, emotion, and empathy. When people want to do the really important things, they want the human touch. Our motto at NewVoiceMedia has been to provide easy-to-use, advanced solutions that enable companies to engage in thoughtful, helpful and emotive conversations that eventually lead to great conversations and improved business results. In the future, AI will be our assistant, our buddy, our coach helping us throughout the sales process. AI will help the rep have better conversations through improved training and real-time assistance, helping the manager gain better insights and make better decisions. One of my favorite tools is Amazon’s Alexa. As an assistant, it’s still very crude, but it’s useful and shows lots of promise. In the future, we’ll be able to have true digital assistants helping us do our jobs and helping at home. Assistants that we can talk to naturally and almost become part of the family or team. I’m really excited about the possibilities of AI and natural language processing, particularly focused on spoken conversations. I feel there are many problems to be solved there so if I were looking at alternative career then, maybe I would go into pure research for a while looking at making sense of spoken conversations. Whose answers to these questions would like to read (from the industry)? I believe that innovation often comes from small companies and teams that have the freedom to experiment and the drive to change the ways things work. I’d like to hear from those people no one knows yet, those people with the ideas that are going to change our tomorrows. Thank You, Ashley, for answering all our questions. We hope to see you again, soon. NewVoiceMedia’s 700+ customers include Canadian Cancer Society, Ebury, FCR Media, FlixBus, JustGiving, Kingston University, Lumesse, Paysafe and Vax. For more information, visitwww.newvoicemedia.com or follow NewVoiceMedia on Twitter @NewVoiceMedia.